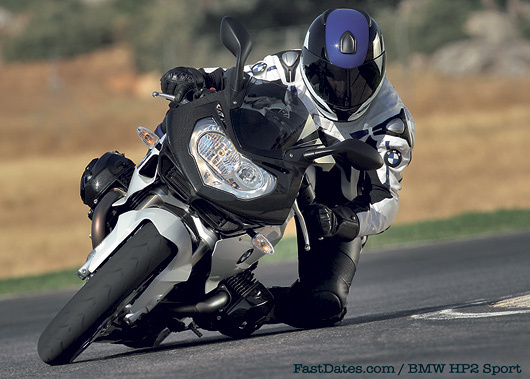 At Play: The new HP2 Sport is BMW's mosthard-core canyon carving sportbike yet. 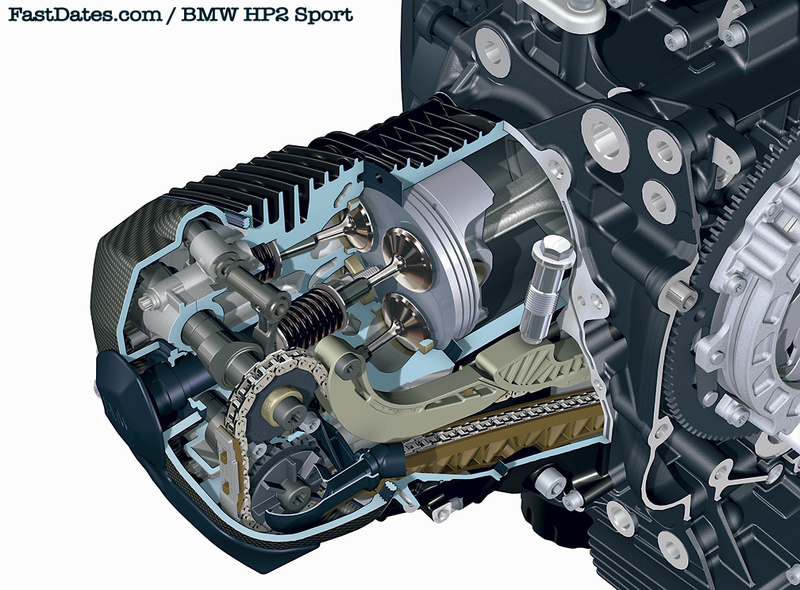 Regardless of the limits for the engine output as a result of the principle and the aerodynamic disadvantages from the cylinder configuration of a Boxer, BMW Motorrad deliberately decided to further develop this historic engine concept for a road racer with racing circuit talent. The key engine data are very respectable: the engine achieves more than 96 kW/128 hp at 8750 min–1 compared with the significantly modified engine of the BMW R 1200 S. The maximum torque lies at 115 Nm at 6000 min–1, the highest revs of the engine reaches a peak value at 9500 min–1. 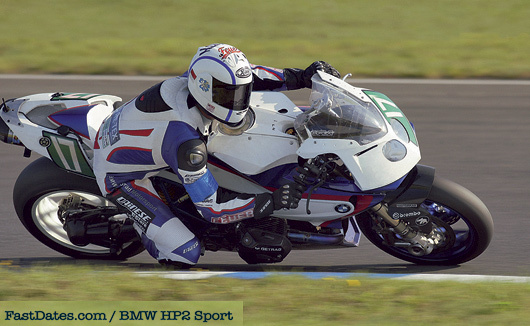 At Work: An entire line of race accessories will be availble from BMW to convert the HP2 Sport to a track bike like the endurance racer shown here. Notice how BMW uses an angled rocker arm device they call a "drag lever" between the camshaft lobe and the valve stem tip to compress the angled valves. An Interesting piece of complexity to operare the radial 4-valve head. Click to go bigger. 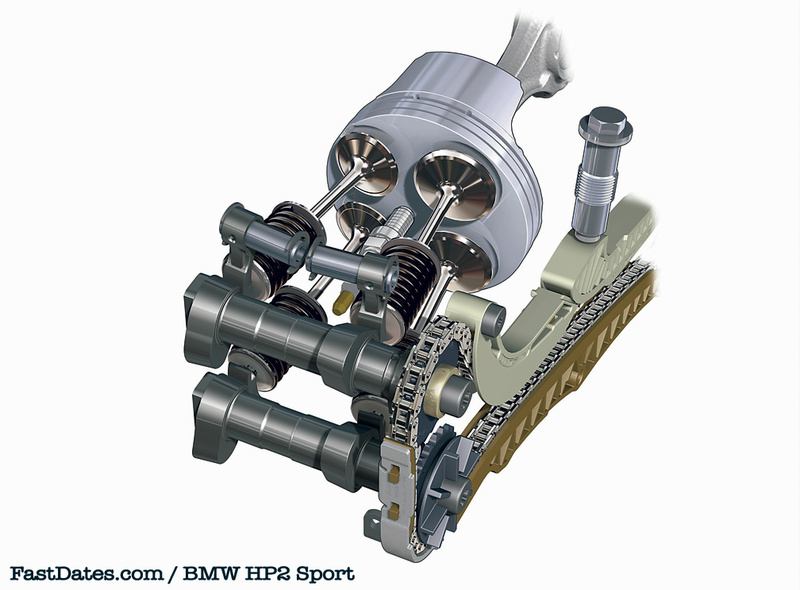 The most striking difference of the BMW HP2 Sport from the endurance racing Boxer is the brand new cylinder heads: Each of the double overhead camshafts (DOHC) uses a drag lever to actuate the valves that are larger than in the BMW R 1200 S. Further modifications such as the flow-optimised intake and outlet, new forged pistons and adapted connecting rod help the engine to achieve the necessary higher output compared to the basic engine. for the first time in a series vehicle. In order to adapt the gearshift pattern for the racing circuit, a suitable replacement pressure sensor is available as special equipment if necessary. The fully adjustable Öhlins sports chassis also has a Brembo monoblock brake system with radially mounted, four-piston fixed calipers at the front. Even with stock protective covers over the cylinder heads, we bet dragging the expensive engine parts before the foot pegs touch can be very unnerving. 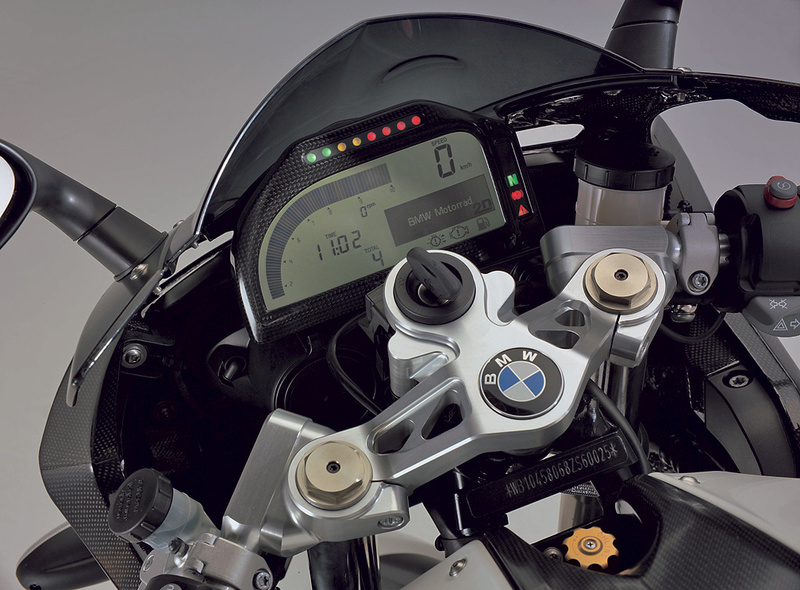 The series dashboard that comes directly from MotoGP sport provides the rider with important information and can also deliver lap times plus other racing relevant data as well as the usual displays. Attention was paid consistently to the lightweight construction of all com-ponents. This includes not only the self-supporting front fairing and the likewise self-supporting carbon rear or the weight-optimised forged wheels, but also hidden details such as the lightweight generator from the racing world. That’s how it was possible to reduce the unladen weight of the HP2 Sport to DIN standard with full tank (90%) to 199 kilos / 437.8 lbs. The dry weight is a mere 178 kilos / 391.6 lbs.. The interplay of variable ergonomic design, increased engine output and the favourable centre of gravity of the Boxer guarantees superb handling and racing potential. 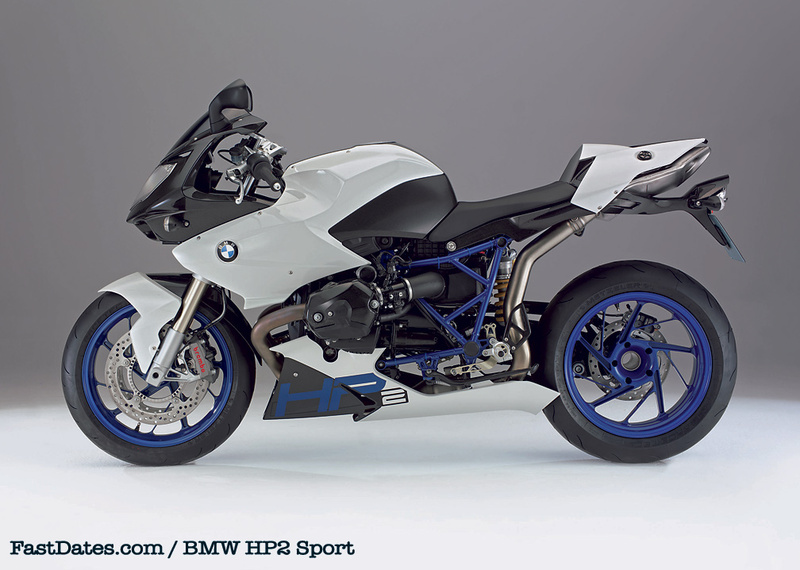 Even if racing fascination is clearly at the forefront of the BMW HP2 Sport, it does not have to forego the safety design feature of ABS. The sophisticated anti-blocking system specially adapted to the HP2 Sport is available as an option and is configured so it can be switched off for the racetrack. 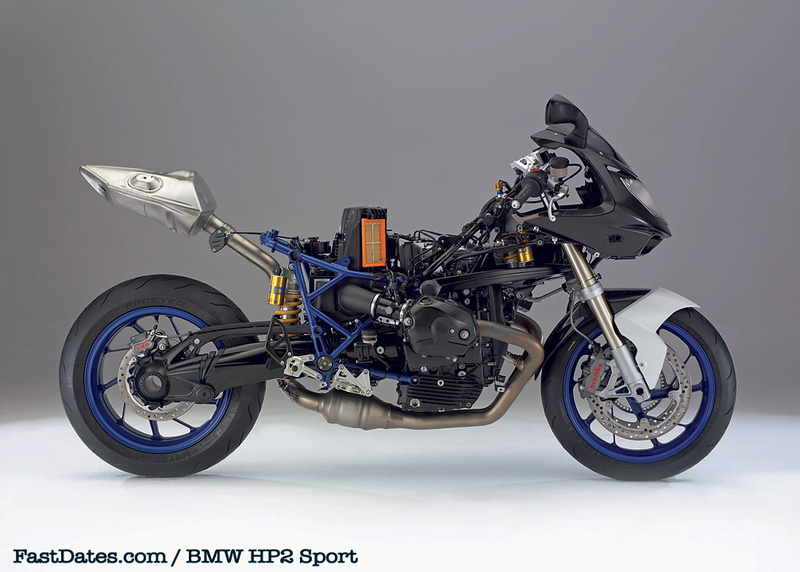 10/12/2006 -Introducing the Megamoto, BMW is Upgrading the Exclusive HP2 Family with a Dynamic Supermoto Machine. 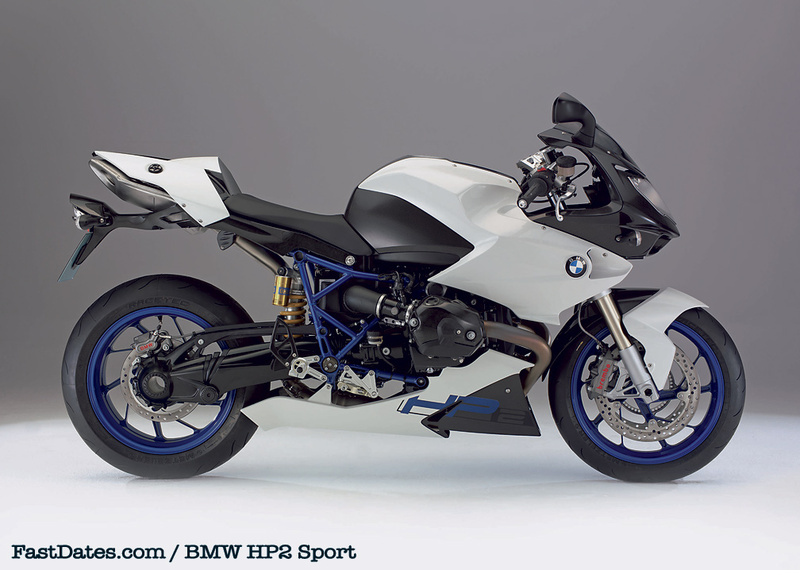 Based on the BMW HP2 Enduro, this unique motorcycle will rank right at the top among all street-legal two-cylinder Supermotos thanks to its supreme performance and the use of top-class materials. Consistently following the HP2 model line, the Megamoto impressively demonstrates the outstanding dynamism and broad range of the Boxer concept. Weighing less than 200 kilos or 440 lb in road trim, the Megamoto offers significantly more power and torque than even the powerful HP2 Enduro. And to meet the specific demands of sports surfing on country roads as well as the toughest conditions on the race track, the extra-firm, lowered suspension comes with truly outstanding components: At the front a fully adjustable, fine-response upside-down fork from Marzocchi with sliding tubes measuring an impressive 45 millimetres or 1.77" in diameter and with 160 millimetres /6.30" spring travel ensures superior wheel guidance at all times. At the rear an Öhlins spring strut with 180 millimetres/7.09" spring travel also adjustable in its basic spring setting, damper inbound and rebound stroke, likewise ensures a firm and muscular stance on the road. 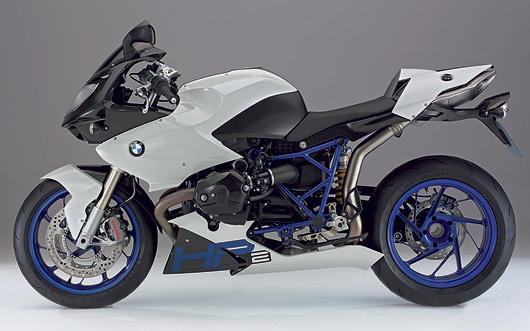 The very looks of the new machine and the choice of the most exclusive materials again help to make the BMW HP2 Megamoto absolutely fascinating and emotional in every respect. 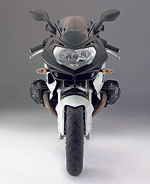 The tank cover and headlight fairing, for example, are both made in part of carbon fiber. The double-chamber Akrapovic exhaust system gives the new Megamoto a powerful and throaty sound very appropriate for a machine of this kind. And at the same time the exhaust system not only helps to boost engine power, but also refines the overall image and style of BMW Motorrad's new Supermoto. In re-configuring the Boxer power unit so full of character, the engineers responsible for the new machine have focused in particular on even more spontaneous response and supreme torque at low and medium engine speeds. 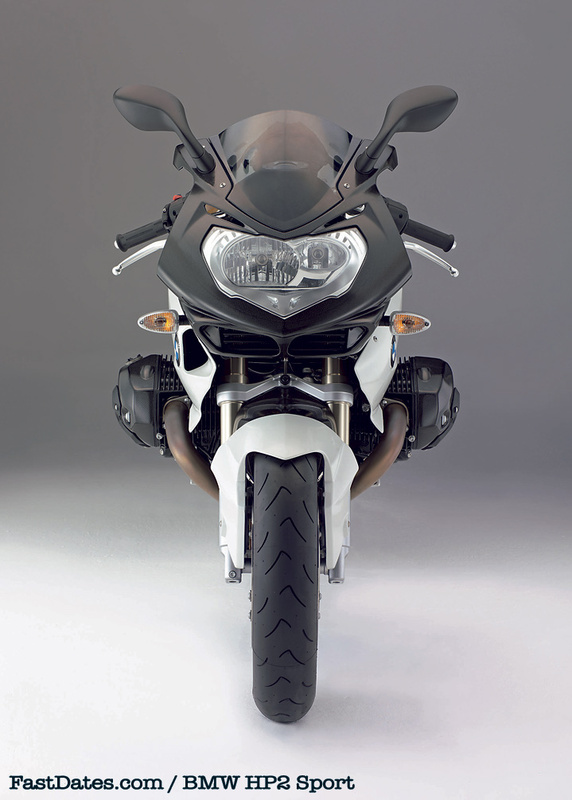 With its very active, front wheel-oriented seating position, its smooth balance and impressive ergonomic qualities, the Megamoto will certainly appeal to all connoisseurs, individualists and pleasure-conscious riders within the segment of dynamic motorcyclists. 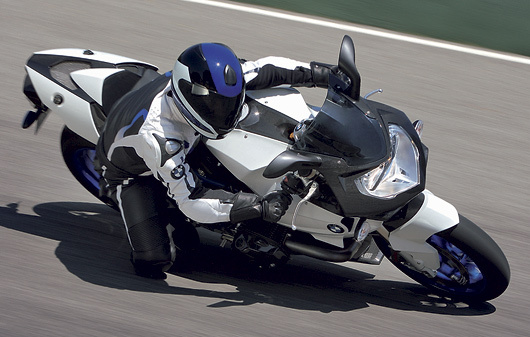 Simply because this new machine offers a brand-new interpretation of Sheer Riding Pleasure and light handling, making it a truly uncompromising riding machine in all its features: light, powerful, agile and, in particular, very exclusive. Our official Team Ducati Corse FastDates.com World Superbike Trophy Girls are waiting for you in Member's Corner!